John Flood's Random Academic Thoughts (RATs): Happy 4th Birthday, Blog! Four years ago I thought I'd start a blog. Why? Hadn't a clue, just seemed a nice thing to do. It would be a bit like an online diary. My patience often flags and I was convinced this would die its own little death and end up like one of those abandoned satellites that whiz around the earth only in an ethereal void. It didn't die. Nor did I lose interest. 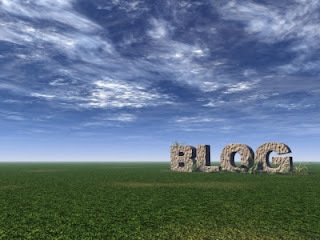 In fact I can't imagine living without my blog. It's become my alter ego: if I'm the me then it's the not-me. We can't occupy the same space but we are close. We aren't terribly sure what the blog is. I suppose it has more work-related posts than personal ones but they are important to me. So I and not-I are going to continue blogging for as long as we can. The first four years are just a warm-up! The last few days have been a reflection of the mixed state of this blog. I am furiously trying to finish a paper on lawyer-client relations, which is almost there. Unfortunately a few weeks ago I went to a seminar on professions and encountered a book, Architecture Depends, by Jeremy Till. I have been reading it this weekend and now I have to radically revise my paper because what Till says about architects also applies to law. I have to incorporate some of what he says, especially his use of contingency in architecture. I have been galvanized by what I've read in this book. And I recommend to anyone who is interested in professions. READ IT. Damn, bloody Till! Why did he have to do that? Didn't he realize he I was almost at the end of the bloody article? How inconsiderate can one be? If the book had come three days later, it would have been too late. But no. The bloody thing comes just as I'm thinking, "This is it, you're almost finished, John." Of course if that was all, I wouldn't mind too much. No, of course there's more. Till, it turns out, is dean of architecture at my university. OK, that's not too bad, but there's more. His house (click here and go to Stock Orchard Street) known as the Straw House was actually one of the very first houses ever portrayed on Grand Designs--see my previous post--and he then taught the architect who designed my Grand Designs house. I feel as though I have lived with Till for a while but now I've got to read him as well as live with him. It's too much, I tell you. But do read his book. It's terrific. Nice post John. I now have to borrow your anxiety and read this book! I was wondering how your paper was going. A student asked me yesterday whether articles become easy, and I had to say I don't think they ever become easy (from what you have told me). Congratulations on the four year milestone! That's quite the achievement in blogland! Thanks, AH, I too thought it would get easier the more one wrote, but the way one writes and one's thoughts aren't static. I always want to "improve" what I'm writing if I can and that instills a kind niggling dissatisfaction with everything I do, but with the hope--sincerely believed--that next time it will be better (and perhaps easier)! "Had I known Till was to cause you re-writing, I would have sat on the book for an additional three days ! (c) for unintentionally introducing you to dodgy heating systems and plumbers."